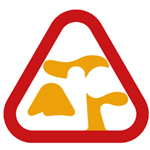 The North European species of the Hygrophorus agathosmus group in subsection Tephroleuci were studied. Three new species are identified based on morphology, ecology and sequence data. Two species are associated with Pinus spp. One of these is described here as H. suaveolens, while the other one is only known from one locality in the Nordic countries and seems to have a more South European distribution range. A closely related sister species to H. agathosmus is identified based on ITS sequence data, H. cf. agathosmus. It is confirmed to have an intercontinental distribution range and to be associated with Picea spp. probably on more acidic to neutral soil, whereas H. agathosmus s.s. has a more limited North-East European distribution range and occurs in older and rich Picea abies forests. A neotype for H. agathosmus is here selected from South Sweden. Hygrophorus agathosmus f. albus and H. agathosmus f. aureofloccosus are confirmed as forms. No genetic differences in the ITS region between specimens with grey cap colour and the two forms were observed. A key to the species in Northern Europe is provided. Cap colour white, grey to greyish-brown. Veil absent or fragmentary. Stipe not viscid or at most slightly viscid, usually mat when dry. • 6. On calcareous soil; pileus colour uniformly greyish brown . . . . . . . . . . . . . . . . . . . . . . . . . . . Hygrophorus sp.